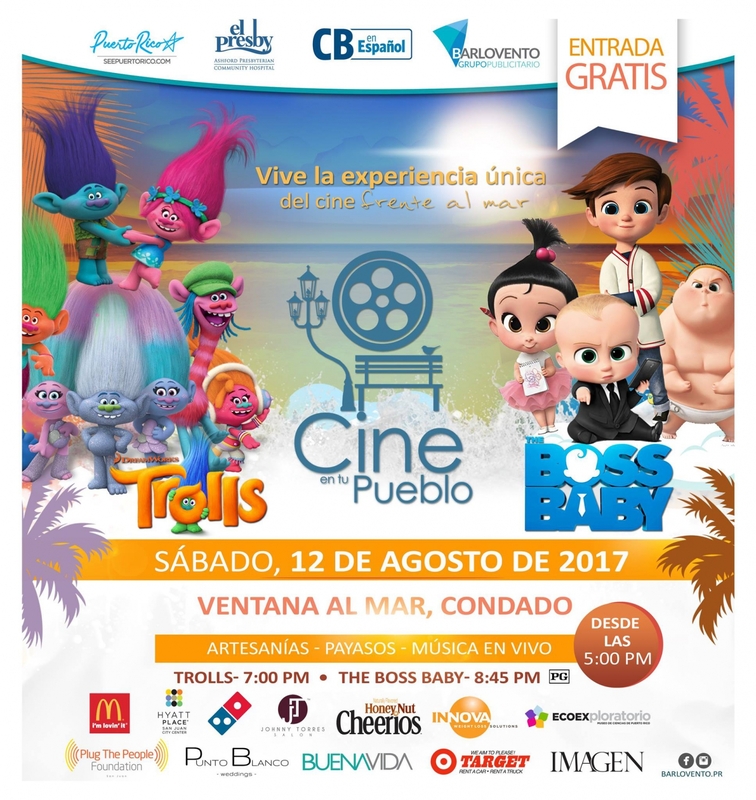 Free admission to an outdoor film showing in Condado. Ventana al Mar is the setting for this event, bring the family and enjoy to films on a giant screen. Trolls at 7:00pm and Boss Baby at 8:45 pm. Live music, artisans, clowns and more!